in greater numbers to better detect the wide-ranging soil conditions across their fields. As any farmer can attest, agricultural fields and the crops that grow on them are dynamic. Over the course of any growing season, the conditions of the soil change constantly, impacted by weather, row traffic, crop production patterns, and more. At the same time, the plants growing in the soil are constantly changing and adapting to this dynamic environment — with roots and shoots expanding in areas most conducive to growth. This dynamism is becoming more evident as advancements in crop imaging illuminate shifting stress zones and yield maps that illustrate wide fluctuations from year to year. To help farmers adapt to these ever-changing conditions above and below the ground, precision ag is also becoming more dynamic in three specific areas. 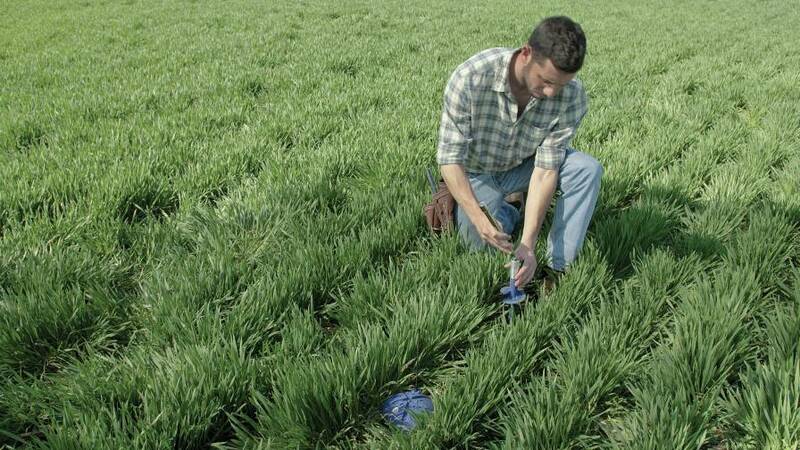 For most farmers, collecting hard data from the field is still largely a manual process, involving scouting and collecting soil and plant samples. These samples are then sent to a lab for testing, which may take days or even weeks. Yet recent developments in field-based sensors are shrinking these timelines and delivering real-time measurements from the field to help farmers make faster, more actionable crop production decisions. Many farmers who experiment with sensor technology for the first time may begin with soil maps of the static variability in a field. This is just the beginning. By condensing field variability into trackable management “blocks,” farmers can use sensors to monitor specific sections of the field and react rapidly to changes in land and crops. Smaller, less complicated sensors are beginning to make this possible, with plug-and-play technology that eliminates challenging installations and does not impact production processes. Software developers with experience from the consumer world are developing intuitive interfaces (think iPhone screens and apps) that allow farmers to quickly browse critical data flowing from these sensors. Meanwhile, manufacturers are integrating data from multiple sources — such as soil sensor readings, weather, and historical crop data — helping to turn all of this information noise into actionable insight so farmers can finally see the bigger picture. Advances in irrigation have the power to drive crop production to new heights. Worldwide, only 20% of agricultural land is irrigated. Yet this land yields 40% of the world’s crops. Soil-moisture sensing and the rise of smart irrigation is the crux of the smart farming revolution and will drive a new era of connected soil. As farmers start to put sensors down into the soil, the industry is learning how to refine irrigation techniques to meet specific soil needs. For example, many farmers use the design parameters of their pivots to manage irrigation. They design the application rate to match the average maximum demand of the crop and simply turn on the water. Thus, they supply close to the correct amount of water during peak season and over-water in early and later parts of the season, not accounting at all for variations in the field. The use of sensors helps them manage seasonal water application, applying less early and late in the season. If sensors are deployed in several areas of the field, they can direct differential irrigation rates, creating uniform soil moisture, reducing water use, and improving overall yield. But soil sensing is certainly not without challenges. Soil is never uniform across a field — let alone a farm or region — and this variability is often magnified at the sensor level. As sensors become smaller, less expensive, and easier to use, farmers are beginning to deploy them in greater numbers to obtain a more precise and dynamic picture of what is happening in the field. Multiple sensors statistically improve accuracy — and only through multiple sensors can one track the dynamic changes relative to variability across the field. For example, a wet area in the spring may become dry in relation to other sections as the crop grows and depletes the water. In-field, sensor-based measurements are expanding to provide new, more granular details, such as moisture levels, salt concentration, fertilizer efficacy, and plant response to variables, including canopy temperature and light. This enables farmers to take real-time actions when a field condition, such as low water levels, elicits a stress response. The soil and crop ecosystem is one of the most complex interactions in nature. A key to demystifying this complex dance and unlocking actionable data is harnessing the power of cloud computing. This is becoming increasingly possible, as moving farm data to the cloud becomes easier. The Federal Communications Commission has identified rural connectivity as a growth engine and is expanding programs to improve rural coverage. Meanwhile, cellular companies seeking business opportunities in farm Internet of Things (IoT), such as AT&T and Verizon, are expanding their coverages in ag-focused areas. Additionally, cellular modems and mesh radio communication systems are becoming more cost effective, and companies are developing integrated systems that combine sensors and communication into seamless bundles. This will drastically improve the quality of the data flowing to the cloud and, in turn, the accuracy of the resulting insights. We are entering a new phase of precision ag, in which near real-time sensing of soil and crop conditions can be used to adapt strategies to the changing conditions of the field. Sensors empower the farmer to react quickly and dynamically to maximize both output and inputs relative to crop performance. 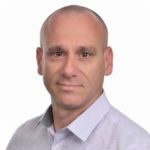 Tomer Tzach is the CEO of CropX, an ag-analytics company based in Tel Aviv that develops cloud-based software solutions that boost crop yield and save water and energy. See all author stories here. Excellent write up. We are a provider of a brand of equipment and utilize several devices in our own farming operations. We have seen improvements in production and no more guessing on soul moisture’s etc. Couldn’t agree more with this article.